Tag Archive | "social energy wave"
Here are some international investing ideas that could bring a shock. We can add energy to our international investment portfolios with investments in green energy! 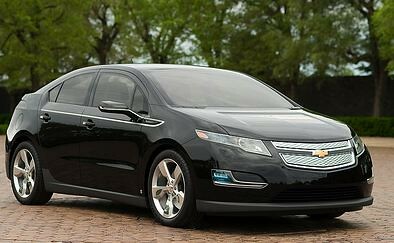 Will the new Chevy Volt add energy into an investment portfolio? But which green investments make sense? Ecuador for example is regreening the Galapagos. We’ll see why and how in a moment. Does investing there provide an opportunity? Green and alternate energy is important because the world has a lot of wasted energy in modern lifestyles…. that the environment can no longer afford. Investing in electric energy not always simple though. One main rule of good investing is to invest in what you know. Yet the nature of the next new era of productivity is unknown. In the computer era, who knew anything about Windows when Microsoft began? In the .com era who knew what impact the internet would bring? How can we imagine the unimaginable? Who knows what will be …”the thing” of sustainability in the future? Hello Gary, Your columns are a daily joy to read for me, including yesterday’s “Investing in Chaos” and the article it referenced about Ceramatec’s ‘wonder battery’. Being a specialist in renewable solar electric energy, I’ve read hundreds of articles over three decades written for purposes of sensationalizing hardware equivalents of software ‘vaporware’, and this one fits the bill perfectly. Identifying truly new technologies possessing wide ranging, paradigm-busting potential, is not easy, especially for readers and investors depending upon what they read in popular sources like newspapers as being bona-fide journalism. Having received a great deal of very high value from your writings, I thought I’d send back a few words given this topic is so near and dear to my own heart and personal passion for purity in all things energetic (physical and otherwise). This is a huge overstatement, to say the least. In no way would their technology, if and when ultimately developed into a useful product, compare to any one of a long list of truly authentic alternative energy breakthroughs, such as: silicon semiconductors (solar cells), electronic devices (MOSFET transistors, integrated circuits galore), power conversion methods (inverters), optical lenses (fresnel and others), super-insulators (thermal barriers), or even plain old window glass (for passive heating and active heat collectors). Although several errors and misstatements fill the article, one in particular really stands out. Re-read that last paragraph and let the information really sink in. Knowing that batteries, like bank accounts, only store what’s put into them, the essential question is: where do deposits come from, and what do they cost? In solar energy systems, it’s solar energy in that equals energy out. With the battery being not a SOURCE of energy but simply a ‘bank’, or RESERVOIR in which to temporarily store what’s generated by day for use at night. Stating the daily cost of a battery (“less than 3 cents per kilowatt hour”), which, remember, supplies NO power (it only stores it) while in the same sentence making NO mention of the cost of what DOES supply the power, whether it be solar panels, wind turbines or just the normal electric-utility grid, implies at best and misleads at worst that the battery cost is all that counts, as if it were the SOURCE of the power itself. And then comparing it so favorably to the cost of electricity from the utility (8 cents per kilowatt hour) which DOES SUPPLY ALL the power, is obviously grossly misleading; the TOTAL cost would be the sum of BOTH, or 3 + 8 or 11 cents per kilowatt hour! Either the author has near zero understanding of what batteries do (store energy) and do not do (generate it), or as is often the case in local newspapers writing about local businesses, another agenda is being served. To tell readers that “buckets deliver water cheap without being refilled”, can only cause misplaced interest. Unfortunately, every bucket and battery and bank account must be refilled at some cost. The cost of the bucket should be, and usually is, nearly negligible. Cheap buckets do not mean cheap water. Many thanks for all you do to bring so many new ideas, concepts, tools and awareness to all of us readers who tune into your thinking regularly. The reminder from this reader provides a good lesson that we always have to use diligence in understanding the future. And aren’t we thankful when readers can come forth with information on these complicated subjects! When we invest in new ideas and technology that we do not know… go slow! The same questions can be raised about electric cars. The picture above is from a USA Today article entitled “Plug-in Fisker Karma car is stylishly environmental” by Chris Woodyard. Here is an excerpt: Even as Ferraris, Lamborghinis and Rolls-Royces prowled the avenue, the obscure silver sedan parked at the curb gathered its share of stares and curiosity. The maker, Fisker Automotive, is trying to carve out a niche in what is fast becoming a crowded field of next-generation electric vehicles: a high-performance eco-car loaded with style. The company has taken more than 1,400 refundable deposits so far for the Karma, which has a starting price of $87,900 and can top $100,000. The car can be driven for 50 miles on electric power alone before its auxiliary gasoline engine fires up to generate more juice and extend the range to up to 300 miles. The engine never directly drives the wheels. The point never mentioned is the cost of electricity to charge the Karma. This cost may not be much… I do not know and this is the point. Use diligence as we move into new technologies. Even Galapagos is turning to solar and wind power. Every year, more than 140,000 tourists descend on Galapagos and the island’s population has tripled to nearly 30,000 in the past two decades. To support all those people, 10 million gallons of diesel fuel and gasoline are shipped to the Galápagos annually, a fifth of which is used just to generate electricity. Regular tanker traffic in one of Earth’s most fragile ecosystems is a disaster waiting to happen (just ask an Alaskan), so the Ecuadoran government is trying to go green. Naturally, the remote location involves challenges, but several projects to cut fuel use and boost protections are up and running, with more in the works. See how Galapagos is becoming more green here. Here are comments from a reader about the way we help: Merri, I am sitting here with a smile on my face. I am always amazed at the turn around that I get from my emails to you. I know you are busy with all of the projects that you and Gary address on a daily basis and appreciate very much you making time for mine.